Have you just moved to Malta? Are you looking for your first place by yourself? Whatever your situation is, looking for an apartment to rent can be quite daunting. It’s hard to know where to start looking or which questions to ask. We’ve put together a quick guide to give you some advice and tips to help you on your rental journey. Scrolling through Malta Park and Facebook, calling landlord after landlord, can be frustrating and unfruitful. Especially as the rental market in Malta moves so quickly, the owners will probably all be telling you the apartments you like are no longer available! Searching for a flat in Malta can also be incredibly time-consuming! That’s why it’s always worth it to go with an agency. Agencies do charge a fee, but they do all the hard work, and they know the market better than anyone. Agents are better equipped at finding you your perfect home! At QuickLets, we have the largest property database in Malta. You can contact any one of our friendly and knowledgeable agents easily. They’ll have you moved in in no time! Before an agent can start looking for an apartment in Malta for you, you need to have a good idea of what you want. Location and size are two of the main points to consider. How many bedrooms do you want or need? Are you going to be living alone or with other people? Think about how many bathrooms you need and how much living space you want. Keep in mind that both size and location affect the price. The bigger the apartment, the higher the price. Expensive areas to live in Malta include Sliema and St. Julian’s. Other popular areas amongst renters are Naxxar, Mosta, Birkirkara, Swieqi and Msida. People tend to go for the central areas of Malta when they’re looking for somewhere to rent. These areas are convenient for travel to anywhere on the island. Renters who like to be closer to the North of the island like to go for Bugibba and Qawra. Take into consideration where you work (and how you get there) as the traffic in Malta can be quite an issue! Of course, it’s important to have a budget. In fact, it’s recommended that you spend only 25-30% of your salary on your rent. Once you’ve thought about what you want and worked out your budget, you’re ready to start looking! However, what you want and what you can afford might not be the same thing. This can often lead to disappointment among renters who can’t get what they want within their budget. We’re all guilty for thinking about what we think something should cost versus what it’s actually worth. Once you start looking, if you find that you just can’t find what you want within your budget, it’s time to let something give. Perhaps you’ll have to come to terms with the fact that your dream apartment is out of your budget, for now. Or, maybe, you’ll weigh up the positives and negatives and decide to push your budget up a little. For the lucky ones who find the right place on their first viewing, that’s great! However, most likely you’ll go on a couple of viewings before you find the perfect apartment. Either before or during a viewing, try to ask as many questions as possible. The rental market moves very quickly so if you like a place, you’ll want to be able to make a quick, informed decision. One question you should ask is how long the lease is. In Malta, long-term leases are usually for 6 months or 12 months. Have a look and see what sort of condition things are in the apartment. Ask how you can request any maintenance that might be necessary during your lease. When it comes to the apartment, you should also double check what’s included and what isn’t. 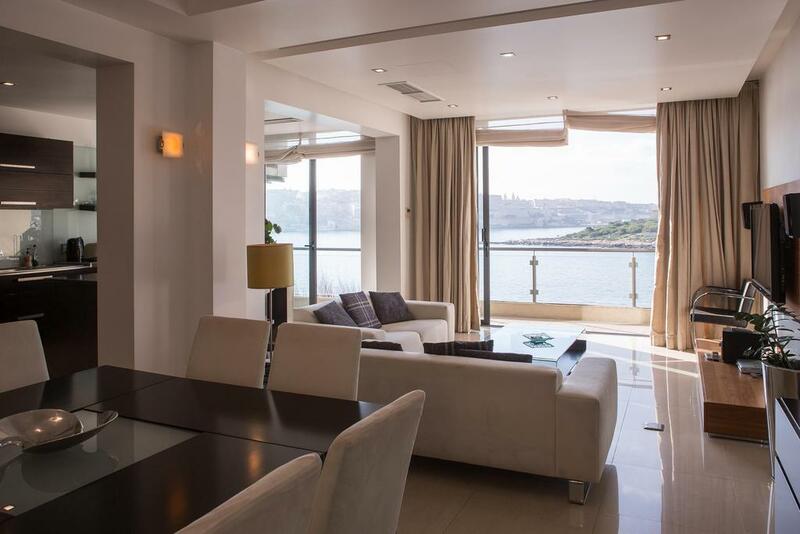 Many apartments in Malta, unlike in other European countries, come fully-furnished. However, it’s a good idea to check exactly what a particular apartment includes so that you’re not caught short when you move in! If you drive, you should definitely ask about parking. Parking can be a complete nightmare sometimes, so do make sure you confirm the parking situation before you sign on the dotted line. You don’t want to find yourself driving around the block 5 times every night when you get home. This last piece of advice applies to any contract you might sign, not just a rental contract! A rental contract might not feel like an important legal thing, but it is a contract after all. It’s important that you make sure you understand what you’re signing and that you and the landlord have agreed on any ambiguities before you sign. For starters, as we’ve already mentioned, check the length of the lease. Will utilities be included in the price? This is not usually the case in Malta, but some landlords do offer internet and phone in the rental price. It really depends on the owner but don’t expect anything. In Malta, it’s a general rule that bills are not included in the price of rent. Moreover, if you’re an animal lover, do ask whether or not you’re allowed to keep pets in the apartment. Most owners don’t like to rent to people with pets but that’s not the case with every landlord in Malta. Some owners say no to big dogs but will allow a small pet, such as a budgie or a guinea pig. If you’re not sure, just ask! Also, don’t forget to clarify how you’re going to pay the rent every month and on which day it will be due. If you’re going to pay via bank transfer, it might be worth setting up a standing order, so you know you won’t forget. We hope you have found these tips useful! Don’t forget your dedicated QuickLets agent will be able to guide you and help you for anything we haven’t covered in this article. Pop into one of our branches any time to get started on your property search!